Chinese Foreign Minister Wang Yi sat in a meeting with Foreign Minister AH Mahmood Ali on Saturday. The meeting began at 1 pm at the state guest house 'Meghna' in the city. 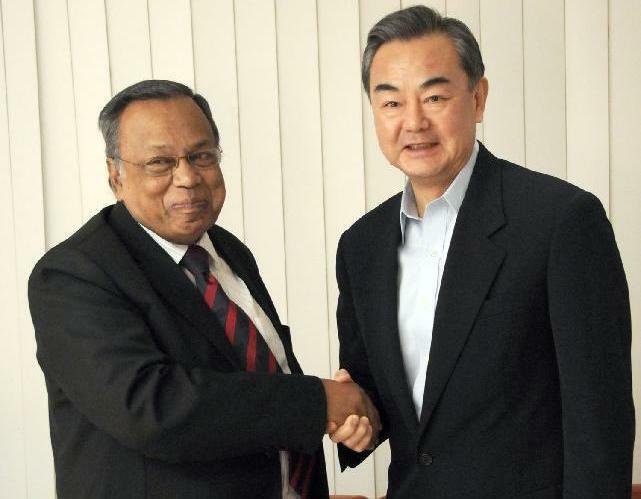 Earlier on Saturday, the Chinese Foreign Minister arrived here on a two-day visit to Bangladesh. State Minister for Foreign Affairs M Shahriar Alam, Foreign Secretary Shahidul Haque and Chinese Ambassador to Bangladesh Ma Mingqaing are attending the meeting.